I recently received an email from a lady who is completing her degree requirements in computer science and doing a final research paper about slashdot. She had already conducted quite a few interviews with people associated with slashdot including most of the editors and the creator of the site but she saw that I had submitted quite a few articles to slashdot and thought I would also be a good subject to interview. She emailed me a list of interview questions and although I didn't answer them right away I have been thinking about them and decided to use her questions as a starting point for an essay that complements the one I wrote last year on why I enjoy writing for Wikipedia so here are my thoughts on why I enjoy writing for Slashdot. 2 How Does Slashdot Work? Vernor Vinge dedicates "Rainbow's End" to "To the Internet-based cognitive tools that are changing our lives — Wikipedia, Google, eBay, and the others of their kind, now and in the future." I believe Slashdot should be added to that list as the most important divergent collaborative tool available on the internet. Wikipedia and Slashdot are both collaborative cognitive tools that make use of the "wisdom of the crowds" yet Wikipedia and Slashdot use totally different processes to arrive at "truth." Wikipedia is a convergent tool that has mechanisms in place to arrive at a consensus view on any subject. 'Since Wikipedia is the most widely read online reference on the planet, it's the standard of truth that most people are implicitly using when they type a search term into Google or Yahoo," writes Simson Garfinkel in the MIT Technology Review. "On Wikipedia, truth is received truth: the consensus view of a subject." There exists an elaborate apparatus of rules and guidelines for arbitrating disputes to arrive at consensus on Wikipedia. Wikpedia's goal is to arrive at truth as defined by the Consensus Theory of Truth. Slashdot on the other hand is a divergent tool - a brainstorming tool that generates lots of new ideas, then evaluates them, and presents the results to the reader in a number of formats. Slashdot's implicit view of truth corresponds to the scientific method and is known as the Constructionist Theory of Truth which holds that "scientific knowledge is constructed by scientists and not discovered from the world." In its purest form every comment to a story on Slashdot can be thought as either 1) a hypothesis with supporting data or 2) a counterexample which attempts to nullify a hypothesis. One way to look at Slashdot is as an internet implementation of the scientific method in action. Slashdot works in four stages. In the first stage a story or thesis is presented on Slashdot's front page for readers' consideration. In the second stage, readers leave their comments. In the third stage of the process, a subset of slashdot users, randomly selected, evaluates the comments and selects the most interesting and insightful comments by upvoting them. In the fourth stage the most insightful comments are presented in a threaded format (as a default) with a minimum threshold for the text of comments appearing. One of the best features of slashdot is that comments can be displayed in four formats (threaded, nested, no comment, and flat) and in two directions (oldest first and newest first) providing a lot of flexibility in watching the conversation develop. I switch between the four formats several times a day depending on what I want to see. If I just want to browse a discussion and look a the "best comments" I normally look at comments using "threaded" using "oldest first." But whenever I have mod points I switch to "flat" and "newest first" because I want to see the the comments that haven't been modded yet and I want to upvote the best comments to promote a diversity of viewpoints and increase the richness of the discussion. Whenever there is a really good discussion going on about something that I am really interested in then I switch again to "nested" so I can see everything. What are the unique aspects of the slashdot editorial process that makes slashdot so successful at eliciting interesting, insightful conversation in its forums? One of the unique aspects ofSlashdot that make it the premier news forum for discussing technical issues on the internet and differentiate Slashdot from similar forums like Digg and Reddit is that stories that appear on the front page of Slashdot are editor-selected. While Digg and Reddit also have user submitted stories, the stories that appear on their front pages are user selected which tends to drive the sites to a lowest common demoninator. What does this add to the forum? The answer is that the fact that the stories that appear on the front page of Slashdot are editor selected rather than user selected gives Slashdot a unique and consistent "editorial voice." Editor selection of stories tends to maintain a good level of quality of the stories that make it to the front page. There are some types of stories that routinely show up on Digg and Reddit, that slashdot editors simply will not accept. Slashdot stays away from politics and they stay away from the WTF stories. They basically stay away from the juvenile material and present an editorial voice of serious consideration of the issues raised. Although they do address games, which some consider a "non-serious" topic, the editors of slashdot generally post this kind of stories during the slow hours in the middle of the night (EST). To maintain the community's reputation for fairly presenting material, the editors at Slashdot have to ensure that stories selected for the front page are fact checked, formatted correctly, and contain non-redundant content. Another, more subtle function that the slashdot editors perform is putting together each day's stories so that they flow. They call this "making the omelette." "The ultimate goal is, of course, to create an omelette that I enjoy eating: by 8pm, I want to see a dozen interesting stories on Slashdot," writes Slashdot Founder Rob Malda. "I hope you enjoy them too. I believe that we've grown in size because we share a lot of common interests with our readers. But that doesn't mean that I'm gonna mix an omelette with all sausages, or someday throw away the tomatoes because the green peppers are really fresh. By mixing and matching these things each and every day, we bring you what I call Slashdot. On some days it definitely is better than others, but overall we think it's a tasty little treat and we hope you enjoy eating as much as we enjoy cooking it." One of the things that I have noticed over the years is that Slashdot likes to lead the day at about 8 am EST with a very strong story that sets the tone for the day. I called this the "anchor" story for the day and I have noticed that when editors post a strong anchor story that gets 200, 300, or 400 plus comments, the rest of the day seems to go well and there are lots of comments on the following stories. I have been honored on more than a few occasions to have one of my own stories anchor the day's news and I have always noticed that if it is a strong story, you can get some of your best and most insightful comments as well as getting more comments than you would normally expect. Another thing I have noticed is that one slow days, the slashdot editors can get more comments on the stories by slowing the story flow down. A rule of thumb (to which there are exceptions) is that editors like to post about a story an hour on a regular day and about 8 pm or 9 pm slow them down to two or even three hour intervals. On slow news day, the flow may slow down slightly to one hour 15 minutes or even one and a half hours. This allows the stories to get a critical number of comments so they can take off. You can look at a story after it has been posted and if after 15 minutes, it has garnered 15 or 20 comments, then you know the story has legs and by the end of the an hour it may get 80 to 120 comments and by the end of the day perhaps 50% to 100% more. If a story can't get started in the first 15 minutes, it will generally "die off" with less than 100 total comments. After posting a story, the editors "tend the threads" to promote maximum interaction to help each thread grow. 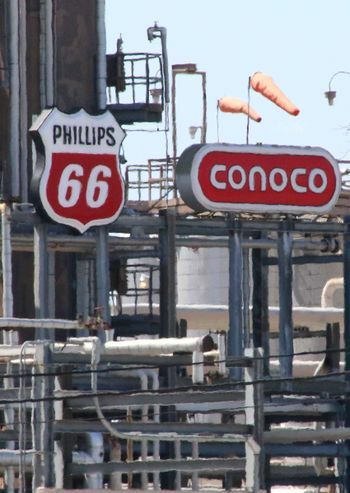 I grew up in Ponca City, Oklahoma, a very unusual city in America's heartland which in the 1950's happened to be both the corporate headquarters for Continental Oil Company (Conoco) and also the center for all of Conoco's Research and Development . With over 600 Ph.d's. living in a city of 25,000, Ponca City was more like a university town where knowledge and learning was revered by highly educated parents who insisted on a first class educational system for their children. I grew up in the 1950's right after Russia's sputnik threw down the challenge to America to match her in science and technology. Because I was good in mathematics and science I received a lot of encouragement through junior high and high school to pursue my studies and I am sure this had a big effect on making me who I am today. All I ever wanted to be growing up was a physicist and took my B.S, in Physics from SUNY Brockport. Although I was encouraged to pursue a graduate degree in Physics, I discovered that I was not enamored by pure research and had no desire for a life in academia, so I ended up in engineering and project management which is what I did for thirty years first working first overseas for fifteen years then as a subcontractor at Goddard Spaceflight Center. All my life I have had an insatiable curiosity about hundreds of different subjects and with the invention of the web I have been able to indulge that thirst by reading, researching, and learning more the things I am interested in. I spend several hours on the web every day because of my interests and submitting stories to slashdot is a by-product of the curiosity I have about technology, history, medicine, sociology, politics, economics, and business. I have always been fascinated by the short form in literature - the short story or essay of under 1,000 words and to me Slashdot represents a way to write a short essay on subjects I am interested in. When I read an article on the internet about something I am interested in, I enjoy searching for more information on the subject and incorporating the additional information and links into a short essay that I can submit to Slashdot. Most of my submissions to Slashdot are between 200 and 300 words. After submitting a story to slashdot I always learn more after reading the comments that people have made. Many times, experts in the field under discussion will comment and there are almost always three or four comments to my submissions that take me in new directions and tell me insightful things I didn't now about the subject previously. Occasionally I will read a comment that is so profound that it completely recasts the story and forces me to look at the story from a different point of view. These are the comments I like best. I also learn a lot from the comments that readers make about how well the original submission was written. The comments tell me if I have been wrong about some fact, a cardinal sin, or if I have explained some concept ambiguously, or left something unclear. I take it very seriously when I see comments that say that the original headlines was misleading or that the submission was the "most confusing ever." When I see comments like that they motivate me to be more careful in future submissions that my submission is correct, fact-checked, and clear. I consider the almost "instant feedback" mechanism or reading comments to a story you have submitted to be one of the most gratifying aspects of submitting stories to slashdot and I pay a lot of attention to the number of comments my stories get. To some extent I consider the number of comments a story receives one of the primary indicators of the success of a story and I really consider a story a failure unless it elicits at least 100 comments, I like to get two or three hundred comments on a story and at the other end of the bell curve, over 10% of my stories receive over 500 comments. When I see a story get at least 500 comments, I know I have written something interesting that contains information that people didn't know already or that challenges the conventional wisdom on some subject. Some would consider writing stories get lots of comments pandering to an audience or playing to the lowest common denominator but I think that unless your stories are being read, there is really no point in writing them. I was never interested in journalism as a profession and never worked on the high school newspaper or had any interest in doing so. I kind of fell into journalism when I started publishing Peace Corps Online in 2000. I have no formal training and like to say that everything I know about journalism I learned by watching Paul Newman's "Absence of Malice." I consider "Absence of Malice" to be the best movie ever made about journalism and seeing the movie in 1981 was one impetus for me to start my web site about the Peace Corps. "The movie is an indictment against journalists who don’t bother to check the facts so long as their attention-grabbing story doesn’t get them into trouble. It focuses on journalistic impropriety and accountability, and how the lack of understanding ethical issues can wreak havoc on somebody’s life." 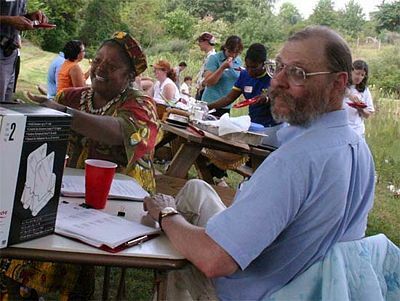 With my web site "Peace Corps Online," I wanted to collect a huge amount of primary source documentation about one single subject that I am intensely interested in - the Peace Corps - and to use this database of material for knowledge management to turn the journalistic raw material into history. You can read more about what I am doing with "Peace Corps Online" in an interview I did in 2008 with Will Dickinson, co-founder of the Peace Corps wiki and Peace Corps Journals. One of the reasons I enjoy submitting stories for Slashdot is that it helps me hone my editing skills and my headline writing skills for my other web sites which are really my main interests: Peace Corps Online, the Peace Corps Library, and Peace Corps News. I usually spend one and two hours each day where I am actively reading slashdot or putting together a story to submit to slashdot but spend a lot more time administering and putting up stories on Peace Corps Online. Peace Corps Online is really a slow motion version of slashdot. I post stories about the Peace Corps on the web site and then construct headlines, story summaries, and add graphics on the front page of my web site to get readers to read my stories. I think that my experience writing story summaries and headlines for slashdot have had a big impact on the way I approach Peace Corps Online and helped me develop my journalistic skills. Someone once made a comment on Slashdot that he thought that I might be acting as a public relations agent receiving payment for linking to publications so that people would read the ads. Sorry to disappoint but I receive no monetary compensation for story submissions. The majority of my submissions link to stories from mainstream publications like Scientific American, The New York Times, and Science Daily Headlines because Slashdot very rarely accepts submissions that rely on uncorroborated stories from blogs or fringe publications. The New York Times has little need for the extra readership they get from Slashdot and they certainly wouldn't pay anyone to get one of their stories on the front page of Slashdot. My compensation for writing for Slashdot is non-pecuniary: my interest in writing short essays and seeing them read, seeing reader's feedback to deepen my knowledge about subjects I am interested in, honing my journalistic skills, and the fact that, like most writers and editors, I enjoy seeing my name in print. In the past very few submitters have submitted stories under their own name although this is changing somewhat. I enjoy submitting stories under my real name and enjoy seeing "Hugh Pickens writes" at the top of a story I see on the front page of slashdot. But it is not just simply egotism that motivates me to submit most stories under my own name. I think the fact that I submit under my real name makes me much more careful in fact-checking. I also strive to make my stories truthful, verifiable, and fair because I know that people know who I am and that a badly written, incorrect, or unfair story will reflect badly on me. I am building a brand. With the hundreds of stories on slashdot submitted under the name "Hugh Pickens," I want people to unconsiously associate "Hugh Pickens" with a well written story. When I see a story submitted by "vze4gnu," I am less likely to believe that the author has any pride of ownership or that the story has been fact-checked and well written. "Almost thirty years ago I worked in the Middle East helping install a nationwide communications system and had the opportunity to be part of a team doing microwave link tests across Saudi Arabia's Empty Quarter. Something I've never forgotten were the astonishing nights I spent in the desert hundreds of miles from the nearest city where the absence of light made looking at the sky on a moonless night feel like you were floating in the middle of the galaxy. In Galileo's time, nighttime skies all over the world would have merited the darkest Bortle ranking, Class 1. Today, the sky above New York City is Class 9 and American suburban skies are typically Class 5, 6, or 7. The very darkest places in the continental United States today are almost never darker than Class 2, and are increasingly threatened. Read a story from the New Yorker on what we have lost to light pollution and how some cities are adopting outdoor lighting standards to save the darkness." But stories like that are the exception, not the rule. I prefer to write my stories as simple present tense third person statements of fact. I want my stories to sound like an NPR radio newscast. I don't try to get clever or be funny in a story. Humor is the hardest thing to write and even if you do it well, you are going to loose some of your audience. The only place I may try to get clever in a story is in a headline where I may use an ironic or witty "Economist" or "Caretas" caption-type headline. I think a lot of people get discouraged when they submit a story to Slashdot and it is rejected and they may never try again. I used to get discouraged but I discovered a simple antidote. I follow Robert Heinlein's five rules for writing and one of the rules is to use everything you write. When I have a submission that hasn't been accepted on slashdot and I really believe in the story, I will sometimes rewrite it with a different angle and resubmit it a few days later. About half of these resubmissions are accepted as stories. However, I usually I accept the judgment of the editors that the story is not suitable for what slashdot is publishing a that time and publish it somewhere else. If I wait a few days until I can get some objectivity about the story and if I re-read the story a few days later and it still seems good, them I will publish the story on my own blog - The Narrative Fallacy. I have a lot of fun with "The Narrative Fallacy" because I can basically use stories I have already written on my blog and then search through the Flickr Creative Commons to find a good photo to go with the story. What I am looking for is a photo that allow me to juxtapose an image with the story that recasts the story with a humorous or ironic twist and makes the reader looks at the story from a new point of view. It is a lot of fun for me to search for the photo. I bat about 50-50: about half of my submissions are accepted. But it's funny. I've had times when I have had four or five stories in a row that are rejected and I admit I get a little bit discouraged when that happens. But sometimes, I get a "hot hand" and I will have five or six stories in a row accepted. In fact I had one day a few years ago when I had five stories on the front page of slashdot at the same time. I think it really comes down to statistics. As Yogi Berra once said "Slump? I ain't in no slump. I just ain't hitting." I think that what happens is if you flip a coin a few hundred times, statistically you are going to have some runs of heads and some runs of tails. It doesn't mean you have lost your talent, it just means you have to keep trying. Maybe that's a convenient rationalization, but it works for me. I've read criticisms of Slashdot - that it is very elitist and it is very hard to get a story on the front page of slashdot. For example Jeremy Zawodny writes: "There's always been a sense of frustration among those who submit news to Slashdot. Sometimes your story is picked and sometimes it isn't. After a while, you start to wonder why Slashdot's small group of dictators (err, I mean "editors") are qualified to decide what's interesting news." My observation is that it is pretty easy to get a story accepted and that the difference is in the quality of the submissions. From looking at the firehose, I estimate that there are about 400 submissions made every day to slashdot. Of these 400 about 20 of them are accepted. So from one point of view an average story has about 5% chance of being accepted. However there is another way to look at submissions. If I take a look the top twenty submissions queued in the firehose while reading at the purple setting - of the twenty only one or two of them are ready for prime time. Ten are incomplete, incorrect, or have nothing to do with anything that slashdot readers would be interested in. Three submissions are spam. Another three submissions are dups of stories that have been on the front page within the past few days. That leaves four stories - and of those four, probably only one or two of them are well enough written that they can go onto Slashdot's front page without a complete or partial rewrite. Of those two stories, one will probably be accepted so the real chances of a well written story being accepted are about 50%. Slashdot editors are human - why should they do all the work of rewriting a poorly written submission. That's why you see a lot of the same submittors on the front page of slashdot like theopd, NewYorkCountryLawyer, and eldavojohn - because these are the submitters that the editors trust to have submitted a well written, well linked, fact-checked, interesting story that won't be an embarrassment to the site if it is published on the front page. First let's clarify what I do when I prepare a submission to Slashdot. Is it writing, is it editing, or is it something else that I call "putting together" a story. On a continuum between "writing" and "editing" what I do is somewhere in between. We'll go through each of the steps of the process that I go through and you can decide where it falls on the contiuum and what to call it. Readers want to be challenged, they want the author to tell them something they didn't know already, or something that challenges their view on something and makes them think. That is why I always on the lookout for stories on the internet that challenge me - I figure if a story is interesting to me, then it will be interesting to other people. The first step is the hardest - selecting the story. The right story "writes" itself. The wrong story is impossible to write. Putting a story together is easy for me once I have chosen the story to submit to slashdot - the hard part is choosing what stories to submit. I evaluate several hundred story ideas a day to come up with 2 or 3 submissions. The interesting part for me is finding the original story idea. I can look at my RSS feed from ScienceDailyHeadlines, for example, which may have 100 unique stories a day and almost instantly identify the two or three stories that I think would make good submissions to slashdot. I don't know if I consider myself a writer or an editor. I can write if I have to but I don't get a thrill out of writing. I do get a thrill out of editing which is what I call what I do when I put together story for slashdot. I love the freedom of choosing what subjects to write about and if you look at my submissions you will see that there is a tremendous diversity to the stories I submit - medicine, intelligence activities, programming, social networks, business, technology, archeology, space, government. I am one of the few submitters who posts stories about business. Most people think business is boring - but I think it is fascinating. I love to post a story about the reasoning behind a business decision. For example, a few years ago I posted a story about the iPhone where I wrote about how Apple is actually earning over $800 on each iPhone because of the hidden subsidies that ATT give Apple after the sale and the story was a real eye-opener to a lot of people. The first thing I do before I even start to write a story is write the headline. If I can't think of a good headline, then I won't proceed any further. If people don't read your headline and think "that sounds interesting" there is little chance they will read your story. I strive to present the story in the most challenging way possible and the best way to do that is with a great headline. A lot of times I will spend as much time writing and re-writing my headline as I do putting together a story. Before I even start to write a story, I have to have a good headline. That doesn't mean I have to write a completely original headline. I develop my headlines using several different methods. Sometimes I use the headline that comes with the story. Sometimes I write my own original headline. Sometimes I use google to look at other headlines that have been written to come up with a hybrid headline. Developing the headline and developing the narrative are iterative processes. Soemetimes as I develop the story, I will come up with a new way to narrate the story and will change the headline to highlight the new narrative point of view. Some of my headlines are deliberately a little ambiguous. For example I submitted one story called "Lawmakers Want a Space Shuttle In New York City". I could have written the headline so that it made clear that the lawmakers were hoping to bring a retired shuttle to NYC for an air and space museum, but I thought my headline was a little more thought provoking. In fact, one commenter wrote that "A headline that vague leaves wide open to the reader what the lawmakers want to do with the shuttle. Are they asking for a working shuttle, or a decommissioned one? Do they want a launch pad for the next generation of billionaires, or do they want a museum? Do they want the current shuttle, or do they actually want the vehicle that will replace it? It's too bad slashdot doesn't employ anyone with journalism or editing experience, they would have caught that and come up with a more meaningful headline." Another reader responded that "Headline provoked questions in your mind, you read on. I don't see the problem. Only thing a professional copy editor may have done is removed the word "a". Or, maybe something like NY Lawmakers vie for Space Shuttle. Headlines are often supposed to leave a bit of mystery. Whether you like that or not is up to you, but it's unlikely to ever change as long as there are headlines." which I think mirrored my sentiments exactly. Another issue with headlines on slashdot are that they mirror real world constraints. I believe that constraints can enhance creativity by eliminating some of the degrees of freedom. One constraint on the headlines on slashdot is that a headline has to have 51 characters or less to fit on Slashdot's submission form so I develop my stories and headlines in a custom database and the first thing I look at is the character length of my headline. The simple fact that all Slashdot headlines are constrained to that 51 character length is a big constraint however I find the constraint to be a challenge to condense things down to their essence. I am always looking for a new metaphor, a new synonym, or a new way to cast a story to make the headline as intriguing as possible - and to fit into 51 characters. After I find a story that I think will make a good submission, I will read through the story and figure out what the narrative is and how the story can be presented. We all tell ourselves stories or narratives to construct our reality and most stories fall into one of the standard narrative formats that reflect the myths of our culture. For example, many short story writers (especially in the pulps) routinely use the narrative format of "create or identify a problem" then "solve the problem." and that can work for some slashdot submissions too. But as I read an article on the web there will always be a number of possible narrative constructions that the story can be mapped to. My job when I put together a narrative is to mentally construct the story in a number of narrative formats and decide which one presents the information in the most intriguing and interesting way possible. Generally speaking once you select the lead sentence for the narrative you have locked yourself into a narrative format so I really look hard through the original article to select the lead sentence. Sometimes my final submission uses the same lead sentence as the original article but many times I will find the lead buried in the middle of the article. One problem is the need to condense a 1,500 words article down to 250 words slashdot submission and still have something that makes sense. My purpose is not to read a story, digest all the words in it, and then close the book, and rewrite the story in my own words. My purpose is to convey what the original author wanted to say and the best way to do that is to select the parts of the story that contain the essence of the story, put them into a cogent narrative, condense this down to a format suitable for slashdot, and if possible add another link or two to the story to provide additional depth to the story to anyone who wants to follow the links. I have found that the best way to do that is to select the original author's own words but to re-order them and provide grammatical transitions to condense them down. Almost every time I have submitted a story that I have "digested" and put into my own words, I will get criticized in the comments because I "misrepresented" what the original author said. I have found it is better to paraphrase the original stories and let the original authors of the stories speak for themselves. My function is not to rewrite - it is to select, condense, develop a narrative, and make it interesting and provocative enough for people to want to read and comment on. Once I have decided on the narrative, I have a fairly standard format that I use for constructing a story: thesis and antithesis. The first section of the story is the thesis. The first section will state the thesis of the story with a long first sentence that combines two or three sentences from the original story. The second sentence deepens the story and usually contains a link to a story from a mainstream publication. The second sentence will be followed by a direct quotation. I love to use direct quotations in my stories because I find that it breaks up the text and makes the stories much more interesting to read so I will follow the first long sentence with a direct quote by an authority illustrating or deepening the point that the first sentence makes. The section section of the story is the statement of the antithesis. To get the best story, one that people will comment on, you can't just present the conventional wisdom. To get people to comment, you have to present the antithesis. The second section can be another point related to the main subject or it can be a sentence that contradicts the the original thesis of the story. The second section of the story contains the antithesis so that readers can see both sides of the story and come up with their own synthesis. The construction of Section 2 is identical to the construction on Section 1. ↑ hughpickens dot com slash slashdot by Hugh Pickens. Update on June 10, 2009. ↑ Ponca City, We Love You. "Writing for Wikipedia" by Hugh Pickens. November 3, 2007. ↑ Reason. "Superhuman Imagination: Vernor Vinge on science fiction, the Singularity, and the state" by Mike Godwin. May, 2007. ↑ Slashdot. Hugh Pickens writes " Wikipedia's New Definition of Truth" October 21, 2008. ↑ Wikipedia "Consensus Theory of Truth"
↑ 7.0 7.1 Wikipedia. "Constructioist Epistemology." ↑ Slashdot. "Making the Omelette." ↑ Ponca City, We Love You. "The History of a Community Defines its Identity" by Hugh Pickens. June 22, 2008. ↑ Cinemaroll. "Absence of Malice: Lessons for an Investigative Journalist" by Uma Shankari. October 25, 2009. ↑ Slashdot "Worse than a duplicate: A degrade-licate." by Futurepower. July 12, 2009. ↑ Science Fiction writer. "Heinlein's Rules on Writing" by Robert J. Sawyer. 1996. ↑ Slashdot. " Apple Makes $831 On Each AT&T iPhone" by Hugh Pickens. October 28, 2007. ↑ Slashdot. " Lawmakers Want a Space Shuttle In New York City" April 22, 2010. This page was last modified on 6 April 2018, at 17:27. This page has been accessed 116,108 times.